Holiday inspired red and green pierced earrings. 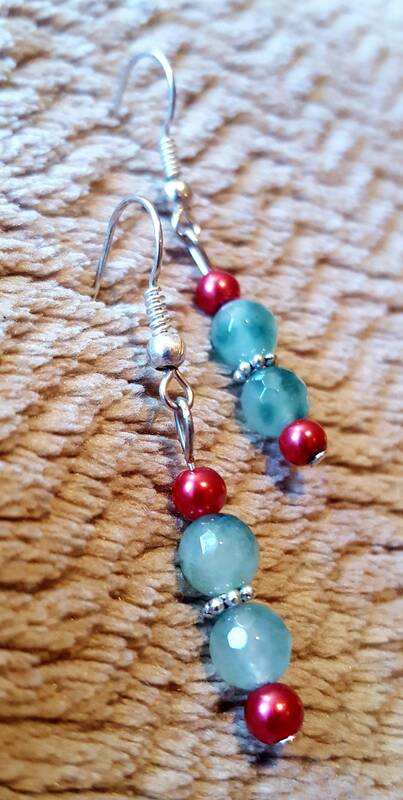 Small red pearls and green Swarovski crystals. Lovely olivine green swarovski crystal dangle earring with crystal rhinestone spacers and silver earhooks. Lovely Long natural florite gemstones with swarovski crystals and silver beads.